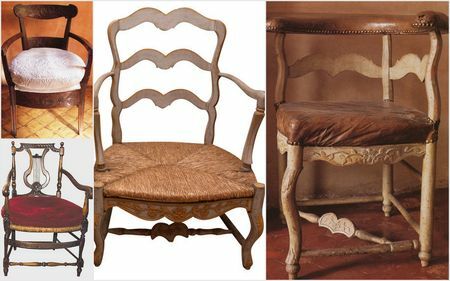 The seat “siege” is one of the most important furniture of the Provençal furnishing. It distinguishes itself from models of the other regions in particular thanks to his straw basis. Fustier completes the Provencal furnishing by creating seats which are inspired at the same time by creations of the Parisian and Italian cabinet makers. To the Italians, the Provencal borrow the use of the straw to furnish the assizes of most of the seats. Several straw chaps are used and braided. Among them, the straw of rye, named “sagne”, and the “aufo”, a rush growing in border of the Rhône (south french river). In winter, the straw basis was covered with a pillow bringing it more comfort; in summer, the straw allowed to keep a fresher basis. 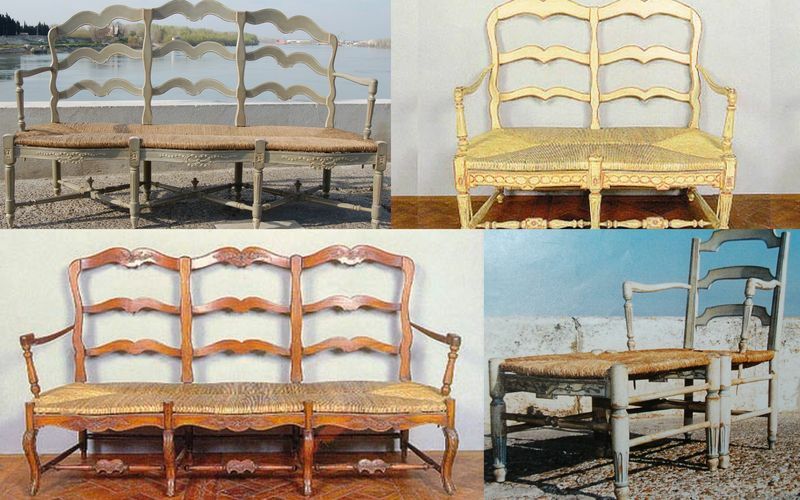 Several straw nuances sometimes confer on the basis of the Provencal seat an additional ornamental aspect. As the piece of furniture, the Provencal seat can be wooden natural mainly to flood it, in beech or in mulberry tree. Certain models are wooden lacquered and “rechampi”. The colors of seats are generally pale and in blue, green or grey tones. In the field of seats, the Provencal furnishing offers a big variety of models, of the most sophisticated inspired of the style Louis XV in simpler turned wooden models but always very elegant. This entry was posted in FURNITURES on November 1, 2012 by webmaster.